Home Tags Posts tagged with "cynthia lennon"
John Lennon’s first wife, Cynthia, has died at her home in Spain at the age of 75. A message on her son Julian’s website said she died “following a short but brave battle with cancer”. Julian Lennon also tweeted a picture of his mother inside a heart with the message “In Loving Memory”. Cynthia Lennon was born Cynthia Lillian Powell in Blackpool on September 10, 1939. They married just before Beatlemania transformed John Lennon into one of the most famous men in the world. At the height of The Beatles’ early success Cynthia Lennon was, at the insistence of the band’s management, kept in the background so their legions of female fans were not aware of her existence. She stayed at home bringing up Julian while The Beatles toured the world and topped the charts. 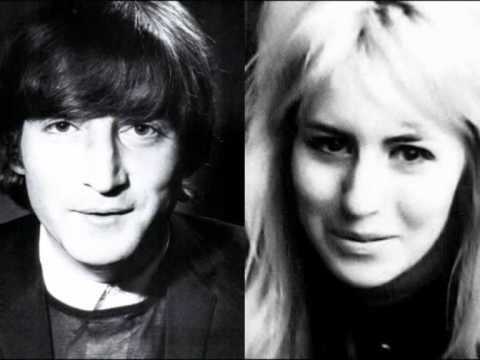 John and Cynthia Lennon divorced in 1968 after she discovered her husband’s affair with Japanese artist Yoko Ono. Paul McCartney said: “She was a lovely lady who I’ve known since our early days together in Liverpool. John Lennon’s second wife Yoko Ono said: “She had such a strong zest for life and I felt proud how we two women stood firm in the Beatles family. Cynthia Lennon published memoirs of her time with John and when she was publicizing one of the books in 2005, she told Good Morning America she “couldn’t resist being around him”. “You couldn’t resist watching what he was up to,” she said. “I have read so many books and seen so many films, and it’s like we don’t really exist. We are like walk-on parts in his life. We did spend 10 years together,” she added. After divorcing John Lennon, Cynthia married three more times. In 1970, Cynthia Lennon wed Italian hotelier Roberto Bassanini and six years later married engineer John Twist from Lancashire. Both relationships ended with divorce. Cynthia Lennon later wed former nightclub owner Noel Charles in 2002. He died in 2013.